When Swedish entrepreneur, Björn Jakobson started developing baby products in 1961, he had a simple philosophy: to make daily life easier for parents of small children by developing safe, innovative and premium quality products. 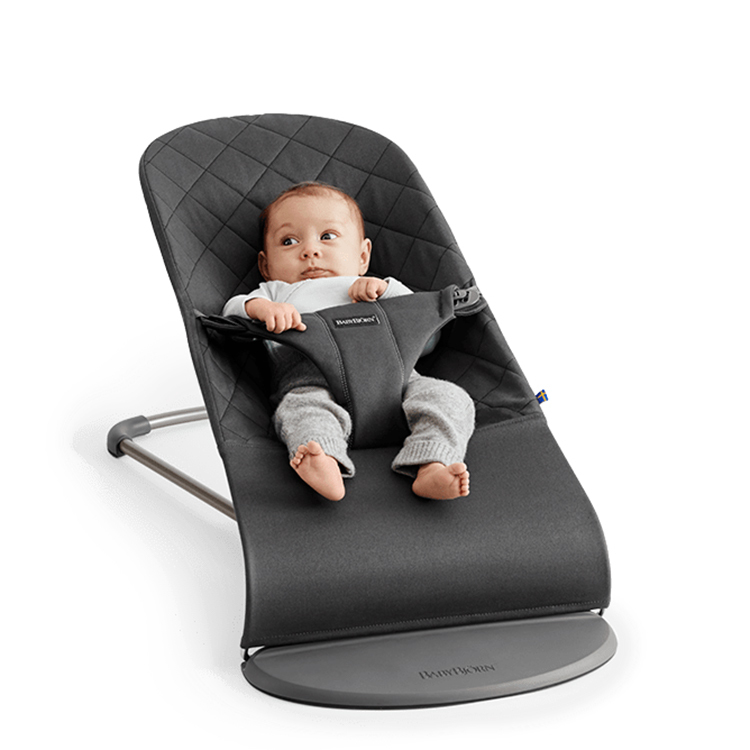 Give your bub a soft start in life with BabyBjörn’s new Bouncer Bliss. Perfect for keeping an eye on your little one, this supportive and ergonomic baby bouncer uses natural rocking power to create a sense calmness when you need both of your hands free. Ideal for extra-long periods of use, the Bouncer Bliss features three adjustable positions, as well as a transport mode for easy portability, and can even be transformed into a rocking children’s chair. Recommended for children aged between zero months to two years. Crafted from cotton, steel and durable materials. Lets you keep an eye on your child when you need both of your hands free. Seat features a classic, quilted design. The bouncer gently rocks when your baby kicks their legs or moves their arms. Provides exceptional support to your child’s back, neck and head. Bouncer can be transformed into a children’s rocking chair for extended use. Bouncer features a maximum weight of 9kg. Rocking chair features a maximum weight of 13kg. Fabric can be removed for easy cleaning. Box Dimensions: 92.5cm (l) x 40cm (h) x 11cm (w).